So, I’ve finally finished a second thing, which is an accomplishment, given my tendency to start 5 things at a time. 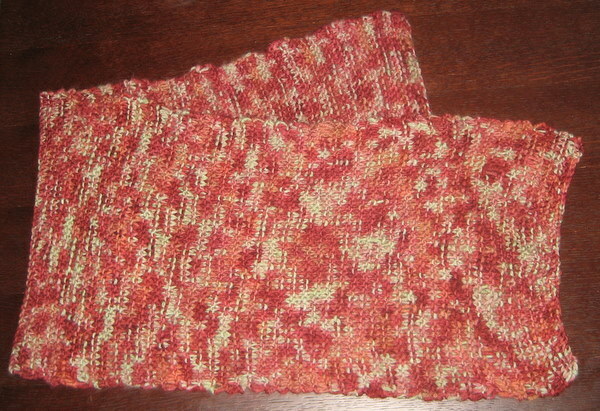 I made this scarf for my friend, Elisabeth, who visited us for Thanksgiving. When I saw this yarn, at the store, she immediately came to mind. The picture on the left better shows the yarn’s coloring. 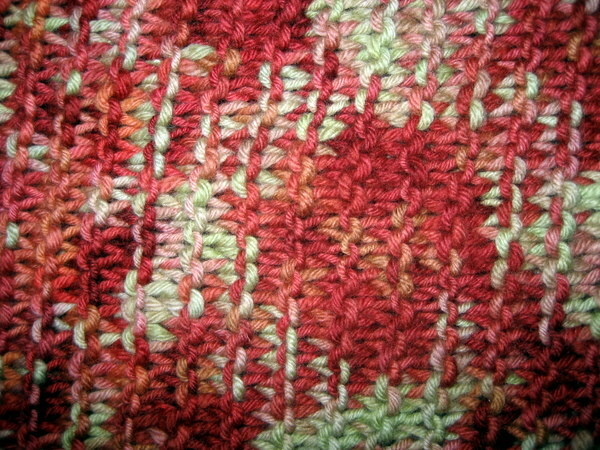 It’s all knit stitch, using a US 15 sized set of needles. 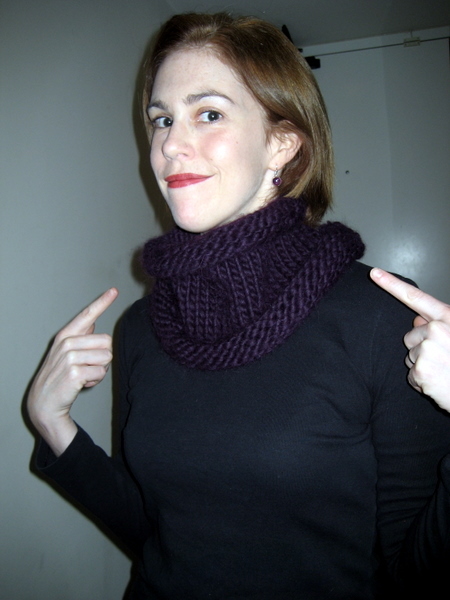 There was no pattern, just 44 stitches across and two skeins of yarn. I found that using larger needles, it was much easier to identify the cause of mistakes, as well as fix them, because the stitch is a bit more loose. Next, I’ll actually make something that involves purling. 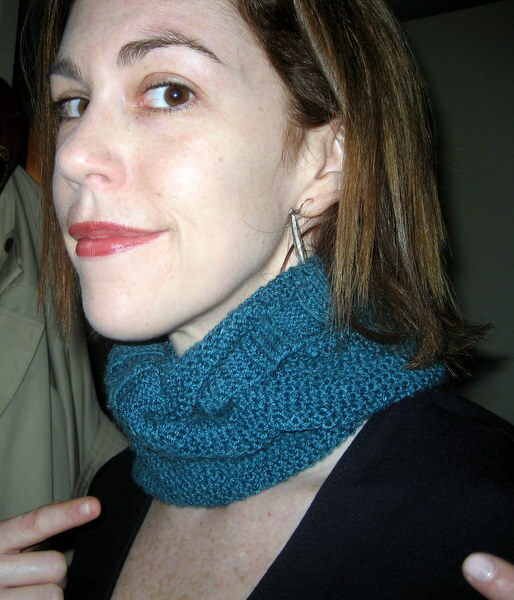 I’ve been teaching myself to knit, with a little help from the internet and more recently, my mother. After many attempts, I finally stopped unpicking everything I made and decided to finish something. 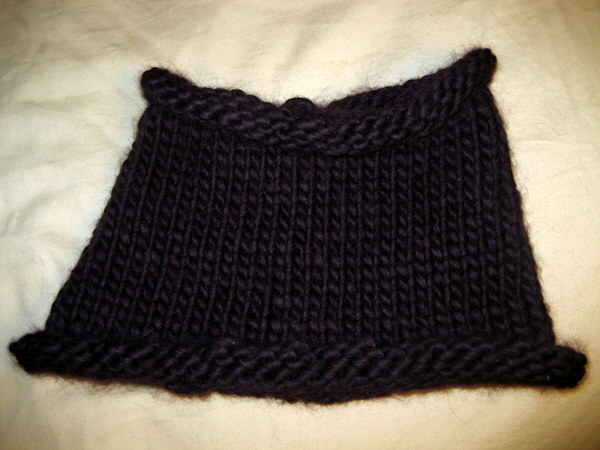 That something is this little scarf, which I made for my friend’s son. I’m not 100% sure I’ll send it, as I’m also making one for his sister, and I won’t be mailing them for a little bit. I think a little more practice and maybe some stripes would be a good idea. 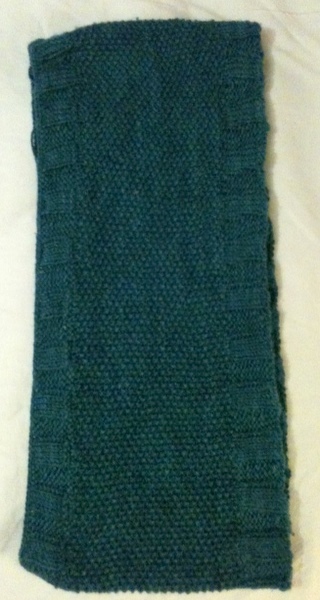 This scarf is all knit stitch, as I’m better at knit than purl. I probably should have practiced the stitch to remove the scarf from the needles beforehand, but it worked out well enough.